Always properly dressed with our blue traditional shirt. The fashionable and elegant blue traditional shirt HOLGER with stand-up collar made of OS traditional costumes cuts a good figure everywhere. At breakfast, in meetings and on the after work stroll. 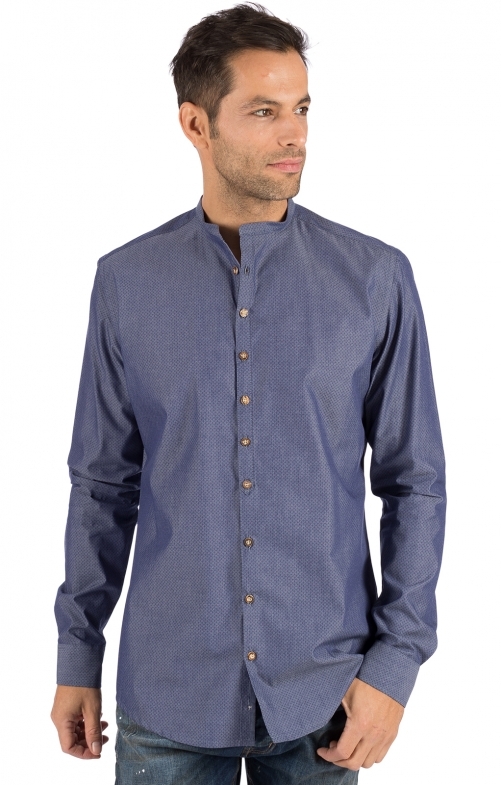 The trendy shirt made of 100% cotton goes well with jeans and leather trousers. pleasant wearing comfort make this feel-good shirt a trendsetter on many occasions.